Hi everyone! 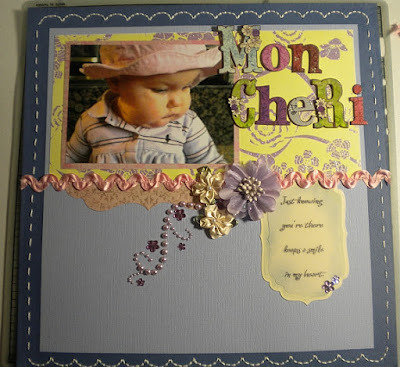 Come visit us at the Paper Patch Crafts Challenge Blog! We have a layout challenge going on right now through Saturday midnight. It's a sketch challenge. I made this cute layout of my grand-daughter. My son was practicing his French lessons while I was making the layout...hence the title! Add a little hand or machine stitching to your layout. It takes a little effort, but it really made the page a little more special! Come join in the fun. As always there is a wonderful prize for the winner! You Hand Stitched that? lol you're crazy talented Shelley. It looks fabulous as always! This is beautiful Shelley I love it! Love-Love-Love your page! Awesome job!